Mention the word Ben & Jerry ice cream, it would most likely be a favourite food or dessert among us here and I do love their ice cream especially their milkshake. 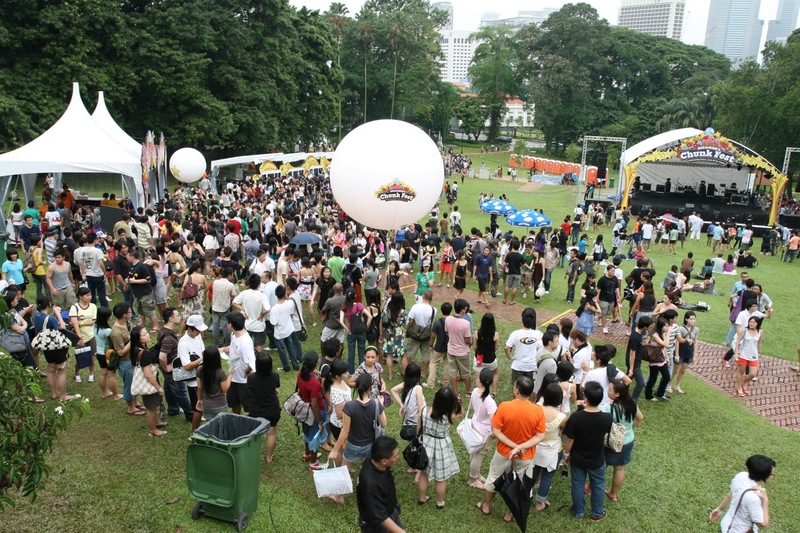 Ben & Jerry organised an event called Chunky Fest @ Fort Canning on 6th December 2008, there were some Ben & Jerry ice cream imported into Singapore for our taste buds, along with other events there at the venue. Therefore, I decided to pop over to Fort Canning and take a look, it was raining and the slopes and grassland were muddy, resulting in muddy shoes, sandals, legs and clothes. When I saw the queue for the Ben & Jerry ice cream, it was quite a sight and I decided not to queue for the imported Ben & Jerry, give the exotic ones a miss this time round, still have the other lovely ice cream here ! 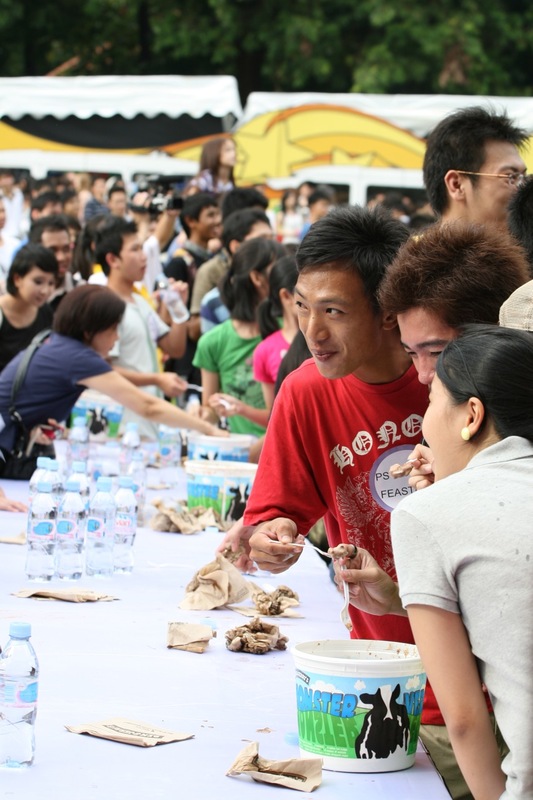 Moving around, there was also an eating competition and it was really fun to watch them gobble down their ice cream. We probably excel in eating a lot of different food and Ben & Jerry ice cream is no exception ! 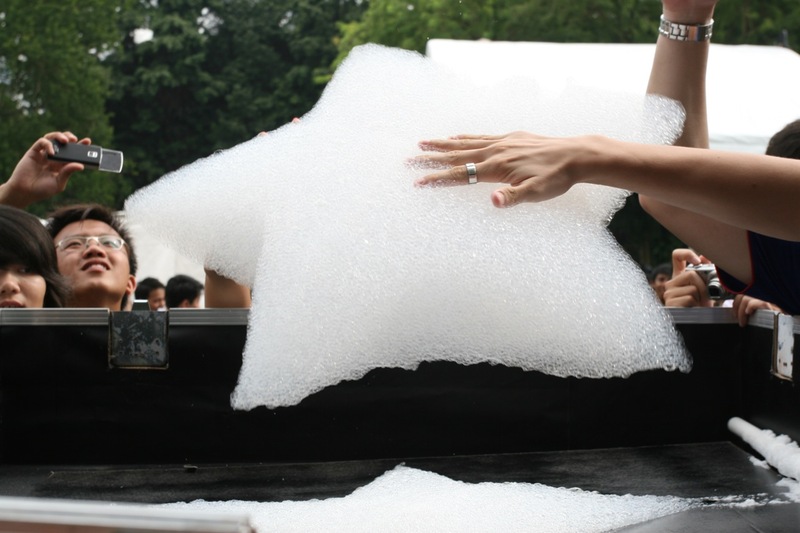 There were also special bubbles at the side of the carnival ground, attracting many carnival participants to capture the bubble balloons and play with it ! Maybe future Chunky Fest needs to find bigger grounds to accommodate larger crowds ! Hope Chunky Fest come back again next year ! With more ice cream booths to shorten the queue, free ice cream for loyal supporters like us !!! Ice cream eating competition’s a tough one coz those stuff are icy cold to wolf down! Looks like a fun day in deed!! It’s tough for us, because of the coldness ! For others, it’s natural for them ! Love their ice cream eating competition ! It was a fun day ! Except for the rain that made the grass and fields wet and muddy ! You can find things and events around your neighbourhood to make it fun too !